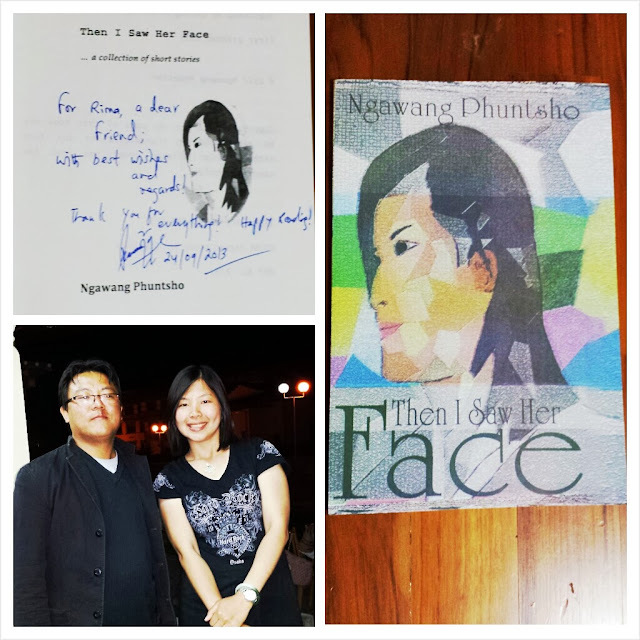 I started reading with the light one, “Then I Saw Her Face”, written by Ngawang Phuntsho. He has a Bachelor Degree in English Literature from Sherubtse College and currently works at NGO READ Bhutan as Development Officer. 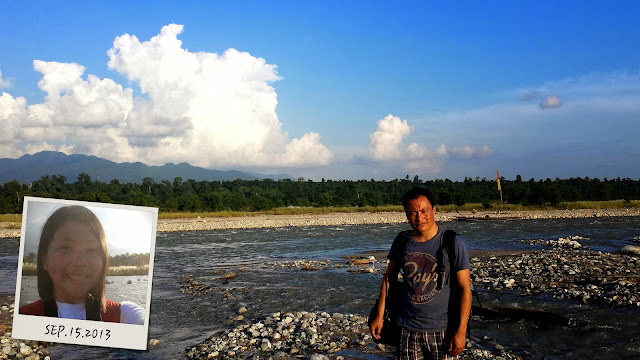 Other than this book, he is also the author of “The Cuckoo and the Pigeon: A collection of folktales from Bhutan”, and a Bhutanese blogger who blogs regularly on social issues. You can read his blog here. 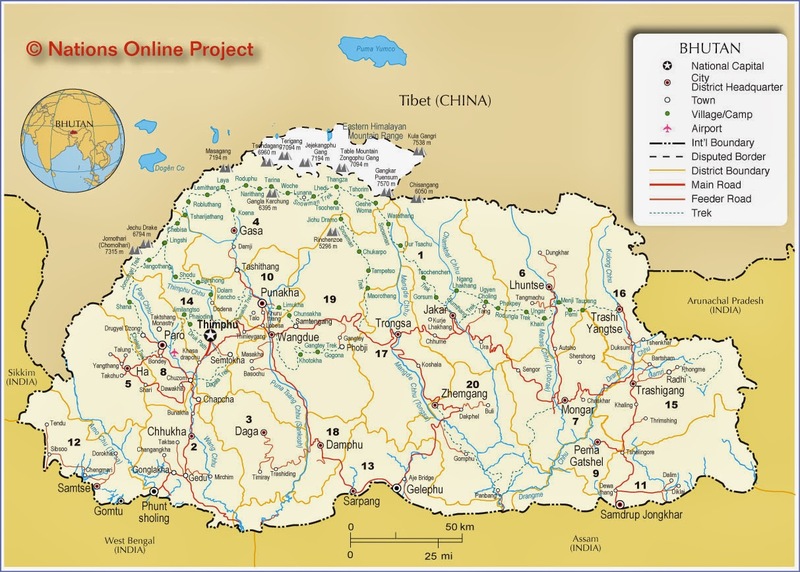 Other than that, he also often contributes his writing to Writers Association of Bhutan (WAB) website here. I knew him only a month (through Facebook) before we finally met up. I had heard about him from the other blogger’s friends. They told me that he was a humble and modest guy, helpful and very good person. He even personally gave the book to me, the day after we met at the Blogger’s meeting in DYS Harmony Village in Thimphu. Read about our meeting here. I finished reading his book weeks ago; however, I wasn’t good at reviewing book. So I would only give whatever impression that I had after reading the book. It was my first time to read the Bhutanese short stories compiled in a book, reminding me of my teenager’s time when I used to read Indonesian’s short stories, mostly from magazine. Somehow, I was expecting what kind of stories that related to Bhutanese cultures that made it special and different from other part of the world’s cultures’ and beliefs’ stories. It was short but refreshing. 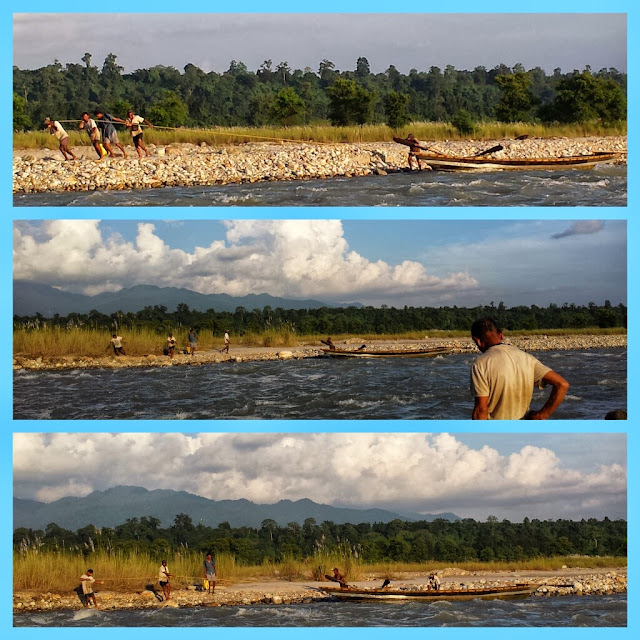 While some stories carried a lesson to learn – True Gift, some described different type of experience faced by people there in the story – The Call of Nature. Some was funny too – Philanthropists. 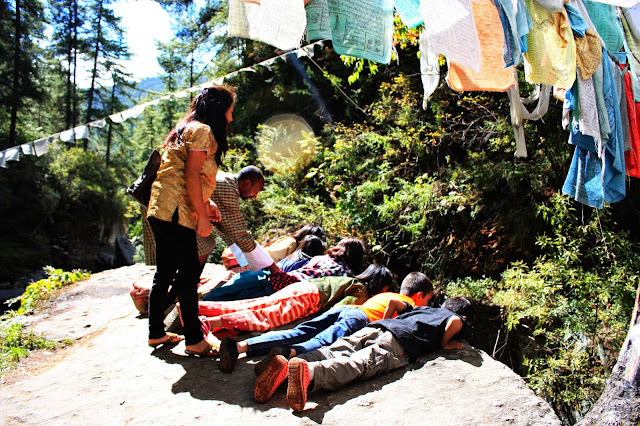 It brought you to Bhutan atmospheres for a while, imagining if you were there and experienced the story yourself there. Tamshing Lhakhang was located across the river from Kurjey Lhakhang, founded in year 1501 by Terton Pema Lingpa, the reincarnation of Guru Padmasambhava. It was the most important Nyingmapa temple in Bhutan. 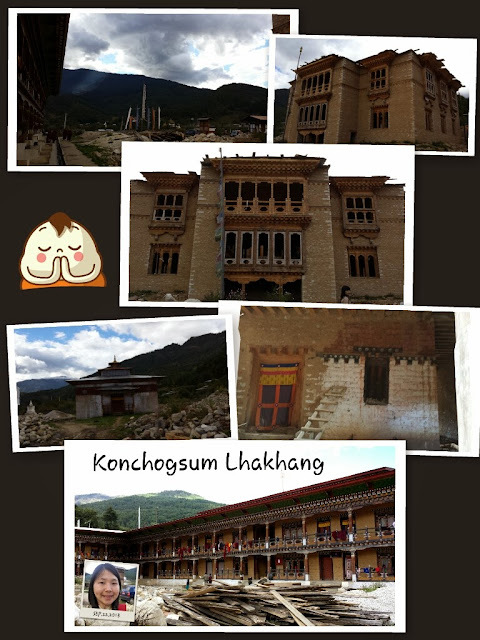 Konchog Sum Lhakhang was built in 6th century, renovated in 1995, and burnt down on 24th February 2010. Luckily most of the sacred belonging was safe, including the main statue of Vaicorana. The inner part of the building was kept with some renovation done to maintain the outlook, while they were reconstructing and renovating the outer part. It was still under construction by the time we visited. It was said that the Lhakhang contained a large bell, when rung, the sound could be heard all the way to Lhasa, Tibet. However, during 17th century, the Tibetan army tried to steal it but since it was too heavy, they dropped it and made a big crack. We saw it inside the Lhakhang but not sure if that was the same bell mentioned. Last but not least, we visited Lhodrak Kharchhu Monastery. It was located just above the Chamkar town. It was founded by Namkhai Nyingpo Rinpoche in 1984, recognized as a reincarnation of Tibetan Lama in 9th century. It was huge!!! Quiet too. I think we came when monks were having their classes. Few of us walked around the area. It’s said that there were almost 400 monks currently studying and staying there. This monastery has become part to preserve the Tibetan culture where monks learning about many things such as: reading, chanting prayers, drawing Mandala, learning how to use musical instruments, poetry, and many more. From there we could see the view of Chamkar town. Beautiful!! 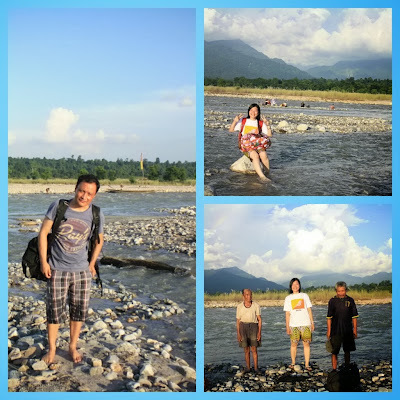 So, we finally finished visiting the Lhakhangs and Mebar Tsho. We all went back home, changed our clothes, took some rest, before we headed to Nila’s house. 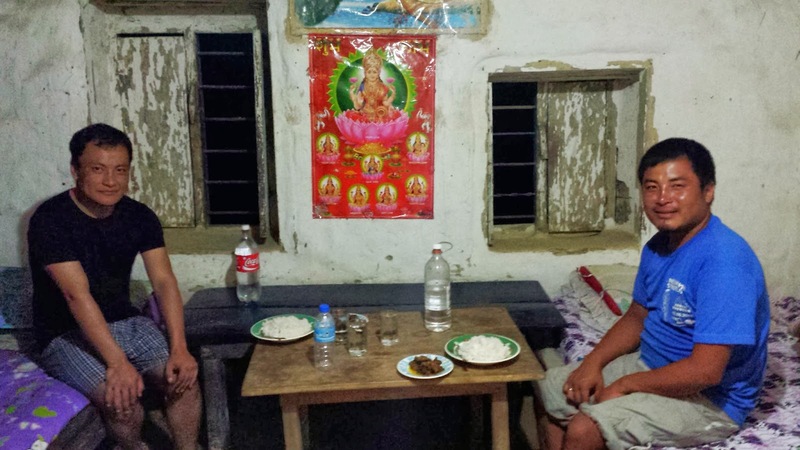 He and his wife invited us for dinner in their house since they knew it was my last night staying in Bumthang. 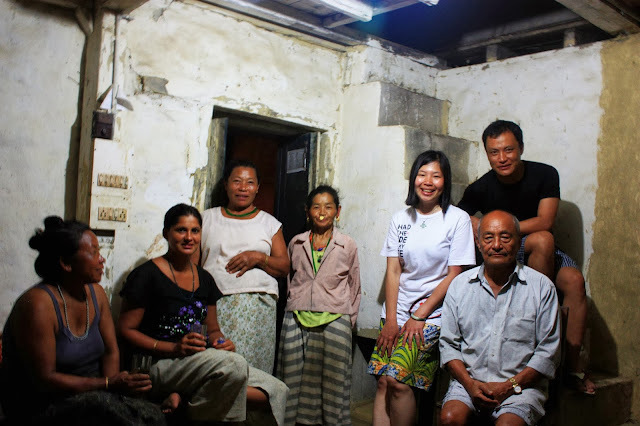 We had a full-course of Bhutanese style dinner there – read the Bhutanese style dinner experience here – and before going back home, this sweet couple gifted me a bottle of pickle dorle chili, two bottles of handmade strawberry jam, and a packet of taengma or gaaza seep (cereal kind of food made of maize). Thank you for your kind hospitality Nila and Devi!!! I appreciated it very much! 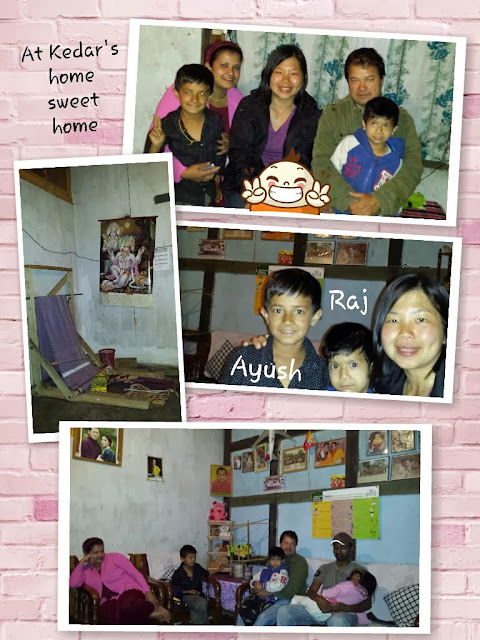 Before going back to Suneet’s house, Kedar invited us to visit his home too (located just next to Suneet’s house). 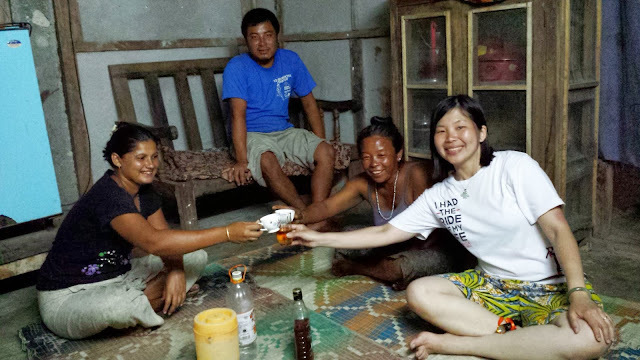 Although we had lots of Druk already in Nila’s house, they still offered us a drink at their home. We accepted a glass of Raven red wine gratefully. Thank you! His wife also did the weaving of Kira during her free time. She, Muna’s sis, and Yeshey (also stayed next to them), each of them had the traditional equipment to weave the kira. All of them must be a very detailed and patient person, unlike me kekeke…. It was quite late already so we only visited for a while. Before we left, we took photos together. Thank you Kedar for everything!!! 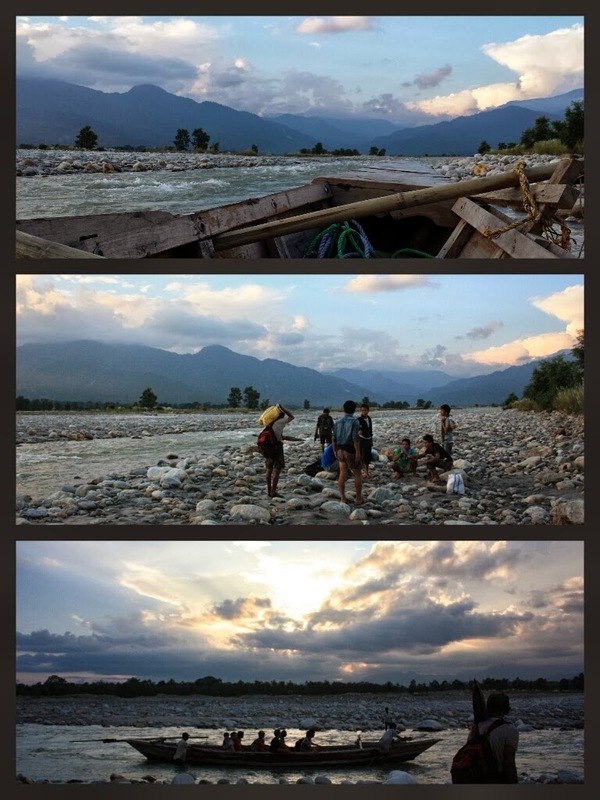 Although it was only a short two-day trip, I’d seen and experienced thing that I thought it didn’t exist much in Bhutan, which was a loving Bhutanese family - spouse living together with their children - and at the same time, valuing their togetherness as families and treasuring the importance of friendships. 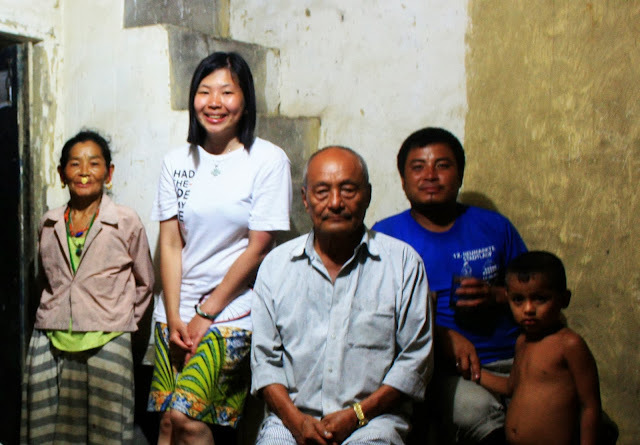 After spending time with them for two days, it had opened my eyes that after all, there were still many out there who were having happy family life. It might not be perfect and not necessary to be perfect; however they were happy to live together, value each partner’s loyalty and hard work, wish and do their best for their families. I could feel their loves and warmth and saw how lovely they were to each other. My friend, Kedar, was even still praising his wife beautiful and capable in front of me, and he treasured his both sons very much. Particularly children were having a great time. They spent most of their free time playing with neighbors’ children. They were staying together with families during breakfast, lunch, tea time, and dinner time. They sat down with their parents together watching TV at night. I was wondering about nowadays children in Singapore. They occupied their time mostly at their own room playing computer games, other electronic devices, such as: Ipad, Xbox, Play Station, etc., watching cartoon on TV almost whole day, and so on. 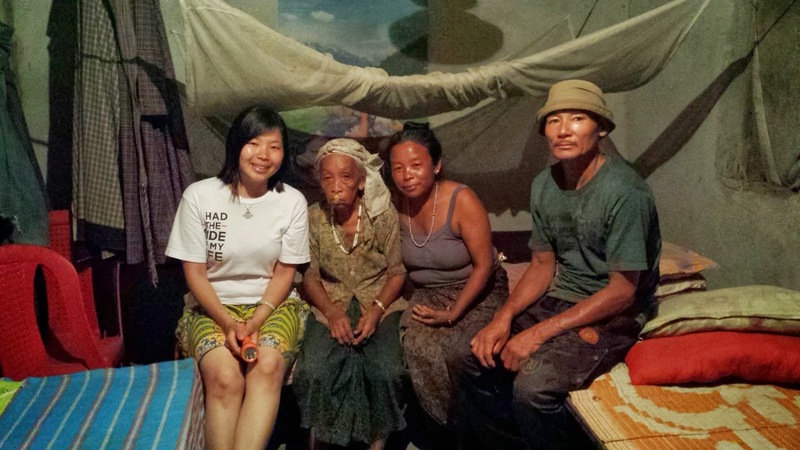 Hm... How wonderful if all Bhutanese, or even all human being would be like them. Hope more of us would treasure the value of loyalty and happiness within the family and to trust the partner that we choose in our lives to be honest and faithful. I took this picture from our local newspaper this morning - "You, too, can defy Gravity - for a price" - My Paper Fri, October 25 2013. Many years back during my school time, in tourism class, we had already predicted that the future of tourism industry would be this kind of traveling that people would be able to travel in space by paying a hefty price. Things that were seen as impossible were being realized and more reachable to public. 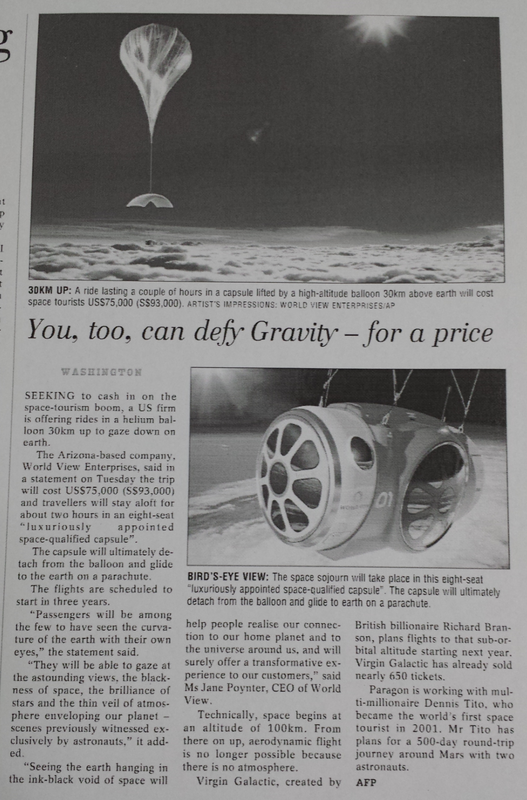 "The Arizona-based company, World View Enterprises, said in a statement on Tuesday the trip will cost US$75,000 (S$93,000) and travelers will stay aloft for about two hours in an eight-seat 'luxuriously appointed space-qualified capsule'". Before starting my busy day today, I sat down in quiet contemplation. I think, look back, and see what I've done so far. Time flies. December is coming very soon and another new year is coming in about two months time. I think that sometimes it amazes me on how much I've been through in this past one year, how things that happened affected my life unconsciously and unknowingly. Somehow it affects my behavior changes too. Sometimes I've become someone I don't even recognize. But I'm glad that this year I've been knowing and meeting lots of new friends that I'd never imagined that I would encounter this way before. Thanks to fate and good karma ba! However, life continues on. 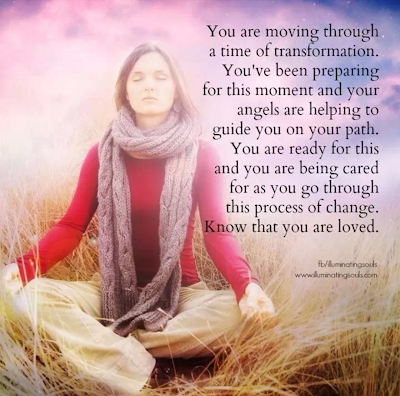 There are so many things I want to do now starting from understanding my inner voice, then act accordingly. Since I fail to recognize the other 'me', I need to rectify it and find my own self back. Recently I've not gone for my cycling session. Just went once after coming back from Bhutan. Cycling is one kind of therapy for me where I can have my own time to let my mind think and wander off, speak to my inner self on what I've been doing, what should I do, and so on, enjoy the nature surrounds me, let my freedom roam away satisfy my needs of getting freely from any boundary, restrictions, right and wrong, customs, traditions that mainly were created by and to human, and just to enjoy the present moment. Apart due to rain, I was kinda lost my mood on it since my last cycling. The place that I used to go is now surrounded by high-rise HDB buildings and concrete such as: flyover road bridge. It made me sick. My soul needs nature just like horse needs huge grasslands to roam about. I need space to satisfy my hunger and thirst soul, also awareness on where it goes and what they do. I can feel it when it has surpassed my own self. I start looking for guidance and advise from others. Many people asked me where is my next destination for upcoming trip. Honestly I haven't planned anything yet. Few places occupied my mind though but I am not in a hurry to realize it soon. I'm in resting mood now. Just want to rest and be lazy, stay at home and do whatever things I love to do, such as reading, writing, sleeping, watching TV, and so on. Meeting friends would be part of my life too because we can't live in this life just by myself. We need someone who understand us, listen to us, giving us opinion and support etc., although at the end we are the one who make decision on what we are going to do. I agree life is full of ups and downs. We just need to recognize this state, accept it as part and parcel of our life, and let go the unhappy thing and let live the one that we love doing it. So hopefully I will go back to my own self again for the rest of the year and come out with new energy and spirit that I require to face new challenges in upcoming year. Jia you Overcome!!! You can do it!!! 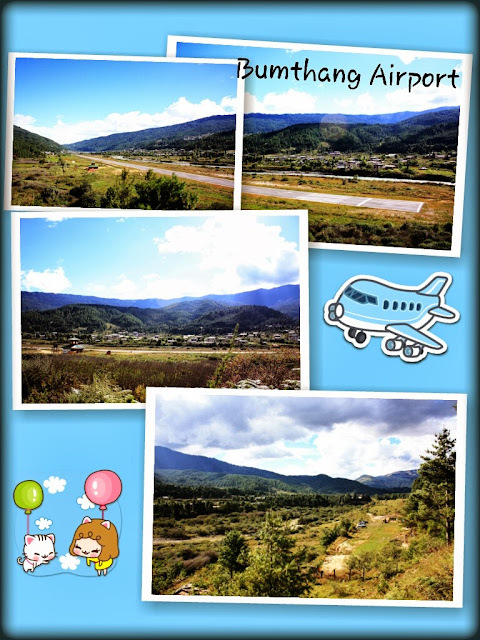 I supposed to go to Bumthang on Thursday, 19 Sep. Due to unavailability of the bus ticket I could only go there on Friday. Also, since one whole day had been spent for picnic, it left me with only one day to browse around Bumthang. 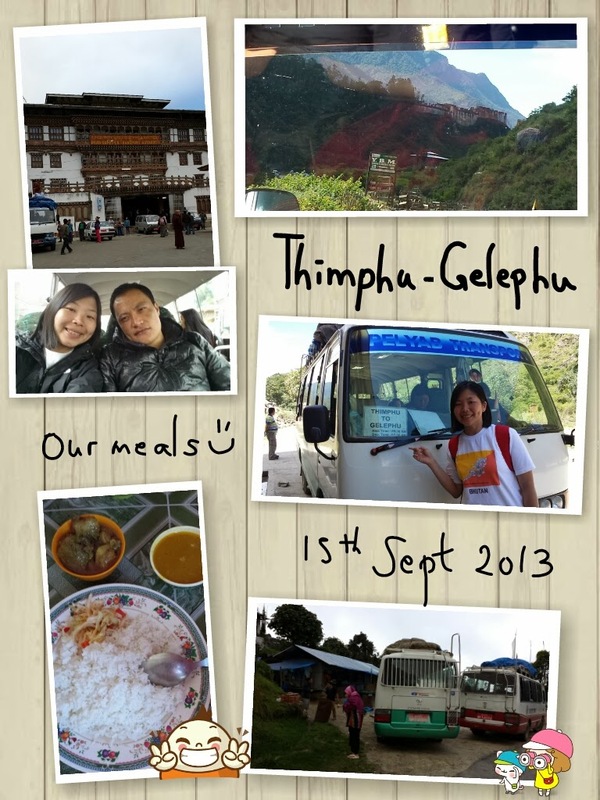 Since I had to go back to Singapore on 25th Sep morning, I had to return to Thimphu on 23rd Sep. Therefore, Suneet (Riku’s brother-in-law) had tried his best to arrange the itinerary to bring me around, based on the list of the places that I showed him. While waiting for the rest to get prepared, I walked alone to Chamkar city, which was only five-minute walk from the place where I stayed. I walked all the way up to the bridge, bought some tidbits and snacks, took some phallus pictures that were displayed openly outside many shops, and returned back home. It’s a small town but surrounded with beautiful mountains and valley. Well, we finally departed together with Kedar and his families. 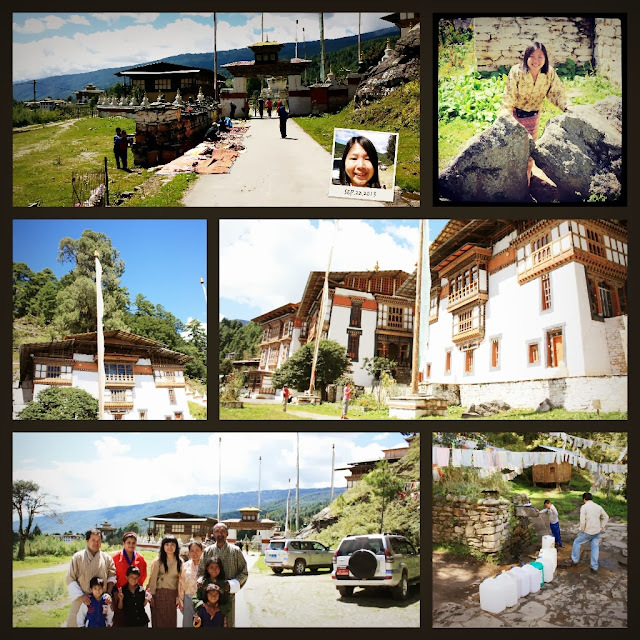 Our first place to visit was Kurjey Lhakhang (Body Imprint Monastery). There were three temples there and the whole area was surrounded by 108 chorten (stupa) walls. The first temple, called Guru Lhakhang, located on the right side, was built in 1652 by Chogyal Minjur Tempa, the first Governor of Trongsa. Inside here, there was a cave where Guru Padmasambhava meditated there to subdue the local deity in 8th century and left the imprint of his body on the rock. The second temple, called Sampa Lhundrup Lhakhang was built by King Ugyen Wangchuk in 1900, while the third temple was built in 1990 by Ashi Kesang Wangmo Wangchuk, the Queen Mother. Above the monastery, there was a tall Cypress tree, which they believed it was grown from Guru Rinpoche’s walking stick (see the photo above - middle left side). 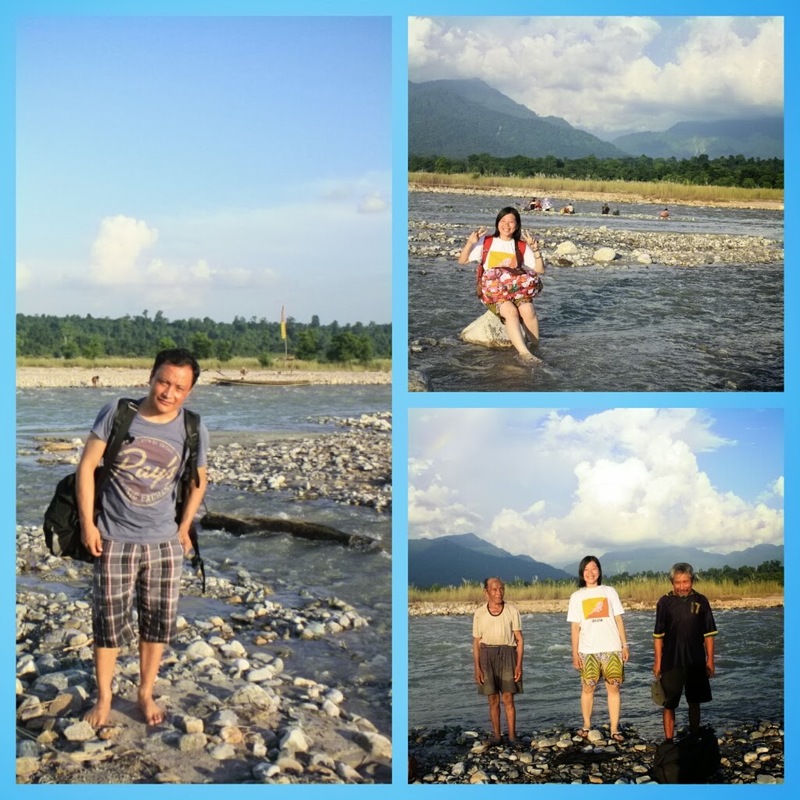 Next destination, Jambay Lhakhang. 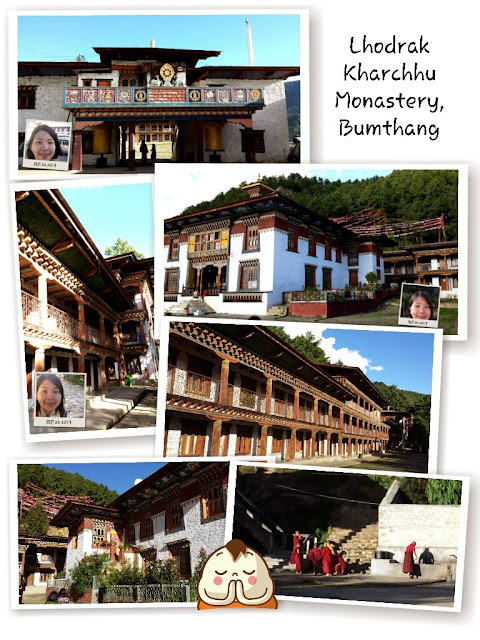 This place was the one that I wanted to visit most in Bumthang since it was another one of the oldest monastery built in Bhutan. It was built in the 7th century, by the Tibetan King, Songtsen Gampo and this was one of the 108 monasteries built by him to subdue evil spirits in the Himalayan region, same with Kyichu Lhakhang in Paro. I felt blessed being able to visit this temple. Thank you for the good karma :) Inside the Lhakhang, there were three stone steps, which represented ages. First step represented the past, the age of Historical Buddha, which is Sakyamuni Buddha. This step had come down to the ground and was covered with wooden plank. The second one represented the present and was at the same level with the floor. The last one represented the new age. It was believed that when the step that represented the present age sunk to the ground level, the Gods would become like human and the world would end. The inner part was different from Kyichu Lhakhang as there was a place for us to circumambulate the main temple before going to the centre part of the temple. You know what? In this Lhakhang, I met the two brothers, Changa and Chuddu. Read more about their story here. I had never met them before this. Only knew them by reading the blog posted by Riku quite long time ago, so I couldn’t really remember how they looked like, and forgot their names too. 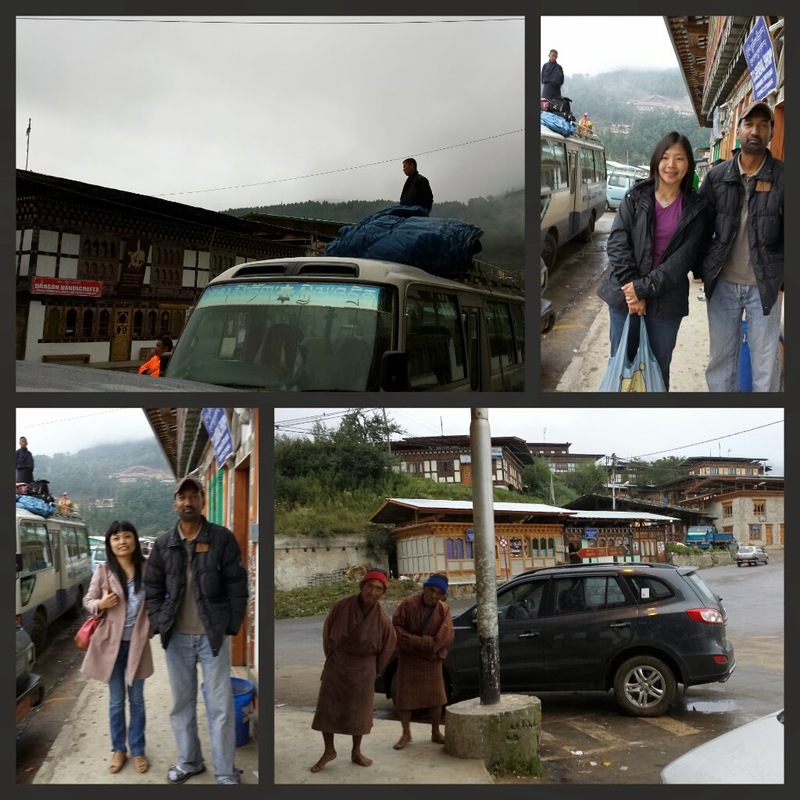 Before leaving to Bumthang, Riku had already told me to find them in town area. So, whenever I walked around the Lhakhang, I saw both of them. I called Riku immediately asking him about these two brothers’ names. Once he told me, I was asking someone who was standing nearby both of them to ask them what their names were. When they said their names, ahhh… I guessed correctly then! Wow!! What a coincidence to be able to meet them there!!! :) Like what Riku wrote in his blog, "These two brothers murmured, exchanged smiles to each other, and walked so buoyantly, as if they might have their own language and wisdom (understanding the essence of life and happiness)." 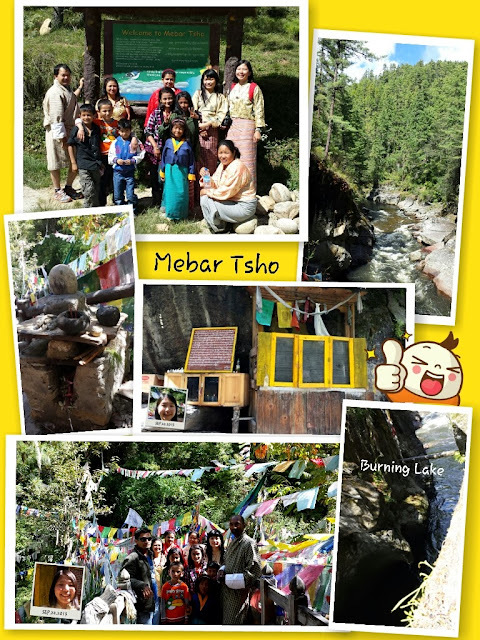 Next, we went to visit Mebar-Tsho (Burning Lake). 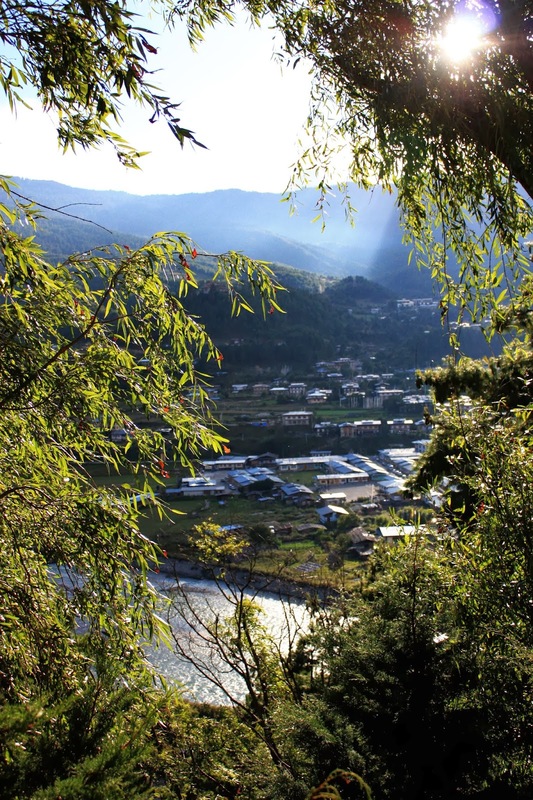 It was located in Tang valley, one of the most sacred sites in the region (also one of the holiest lakes in Bhutan) as it related to the renowned Terton Pema Lingpa, who discovered the sacred treasure that Guru Rinpoche hid within the lake many years back. He was considered as incarnated disciple of Guru Padmasambhava, holding a butter lamp in his hand, jumped into the lake, and several hours later he came back holding a scroll of paper with the butter lamp still burning bright. That was how the name of the lake coming from. The importance of this site is indicated by the extensive array of prayer flags and the small clay offerings called 'Tse Tsa' in rock niches. 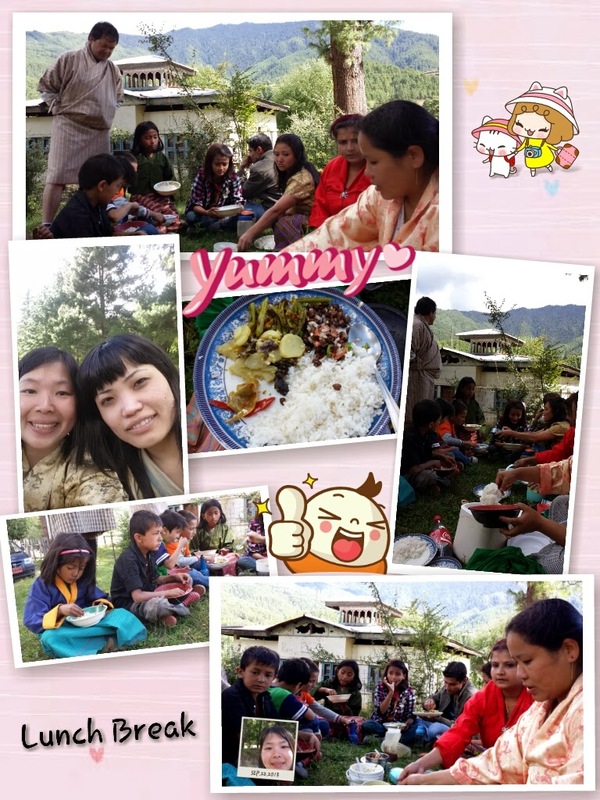 Once done, we stopped at one place and had our lunch picnic on the roadside. Oh… that’s what I wanted to experience in Bhutan too. Seemed like they know what I want, although I never voiced my heart out to them :) Kids ate using their hands. Once we finished, it was the crows turn to eat our food balance on the grass hehehe…. The boat would only come when there were enough villagers to board. It was located at the opposite direction. 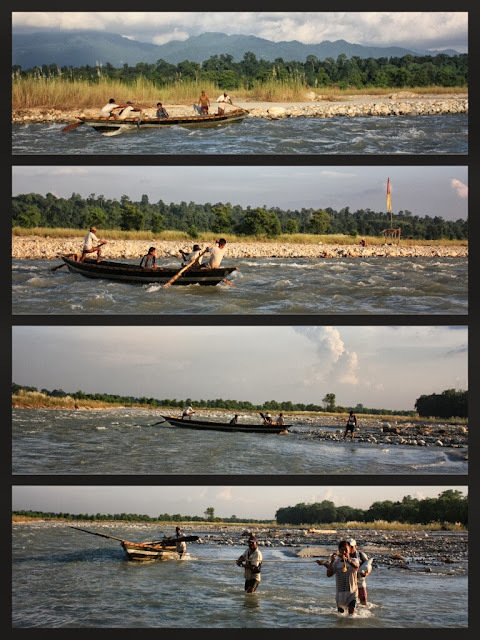 Therefore, they had to pull the boat against the water flow then paddled it to our side, and again brought it closer to us. 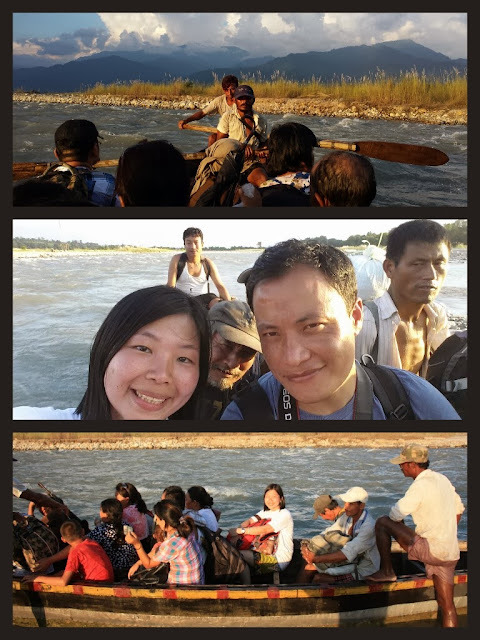 All of us slowly went into the boat and had our seat. Yes, it was only our first cross. After this one, we had to walk a distance and take another boat to cross over. 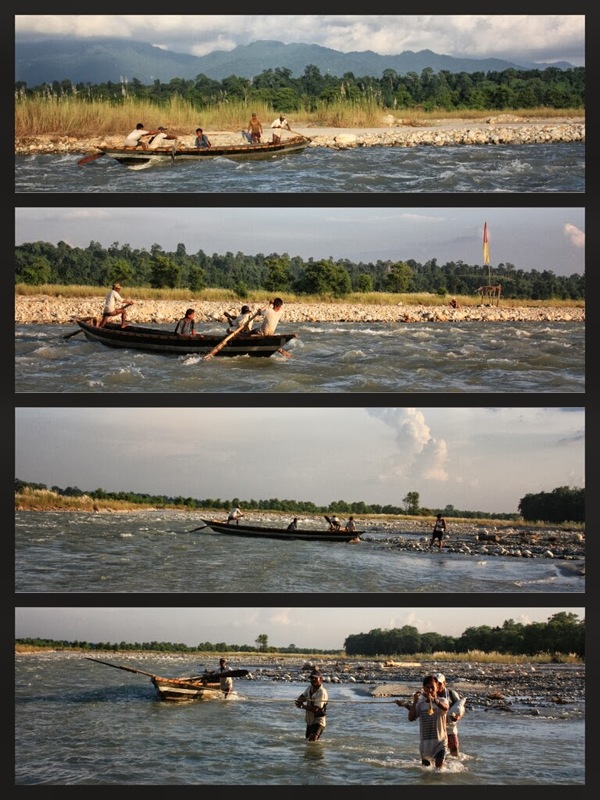 The second cross journey was shorter and the water flow was milder.The view was wonderful. I loved it so much!!! See the photos below. 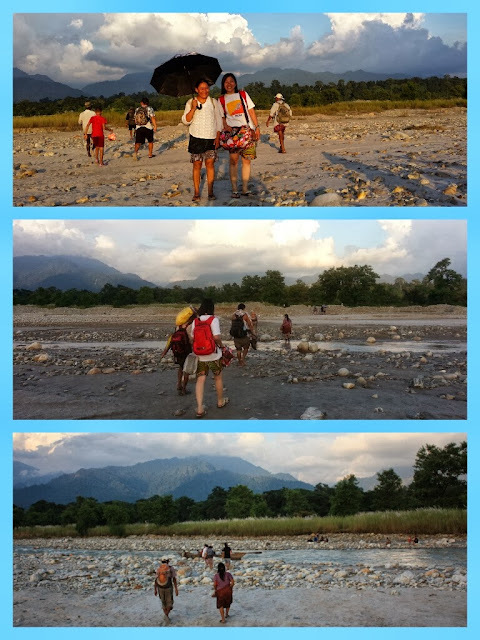 After crossing the second time, while walking, I remembered him telling me this, "I have been walking over this river for many many times in my life, but I never thought that one day I would walk with you over this river." I smiled. Suddenly I felt blessed and grateful for having this opportunity to walk through this journey. Happiness was all over our hearts that we both could have chance to enjoy the beautiful nature together, although in such a short period of time only. Thank you Riku for bringing me there!!! Finally we found the land, our starting point to the village. Starting point??? Yes, you saw it right. Hahahaha........ Yallama!! You thought it was over and we reached the village? No way!!! When I asked, Riku said there would be another one-hour walk to his village. "One hour?? On foot?? ", I asked him to confirm that I didn't hear wrongly. "Yes, one hour. ", he replied firmly. Yallama keno!!! I thought he was trying to make me feeling better saying it was one hour while the journey might be reached in lesser time than that, but he didn't. He was saying the truth. Lolx!!! We couldn't rest so long as the sky had started to turn dark and we still had a long way to go so we started walking again. 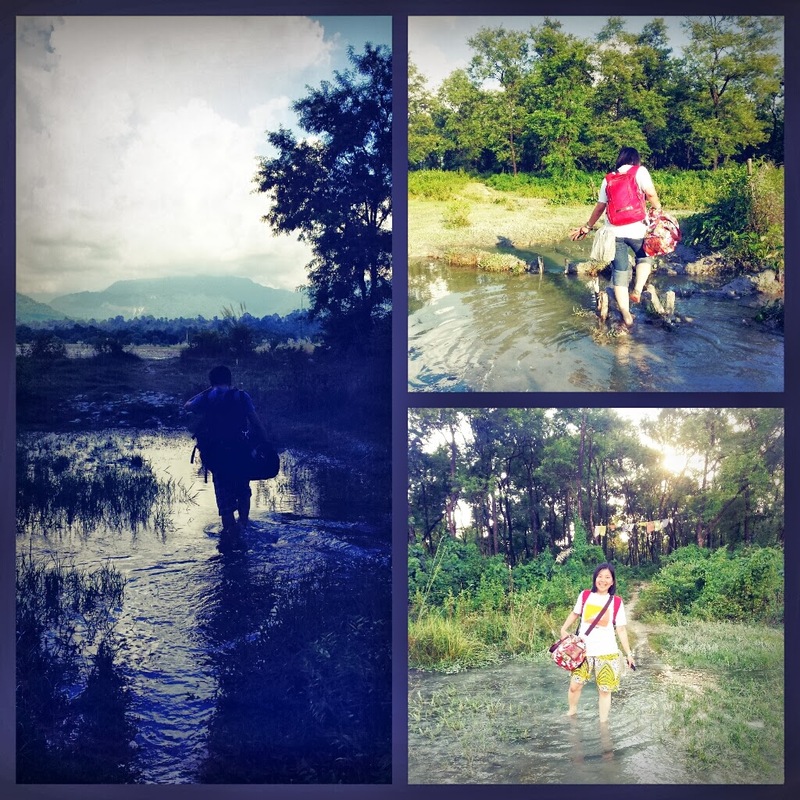 This time, someone helped me carrying my bag, so I only carried my backpack. It had helped me a lot. We had to walk very fast. Chandra led the way, I walked in the middle, while Riku was walking behind me. Riku had to slow down whenever passing by the water puddle (as he was wearing his socks and shoes back), while I wore his slipper. However, I was so careless again with his slipper and I spoiled the slipper for a second time. 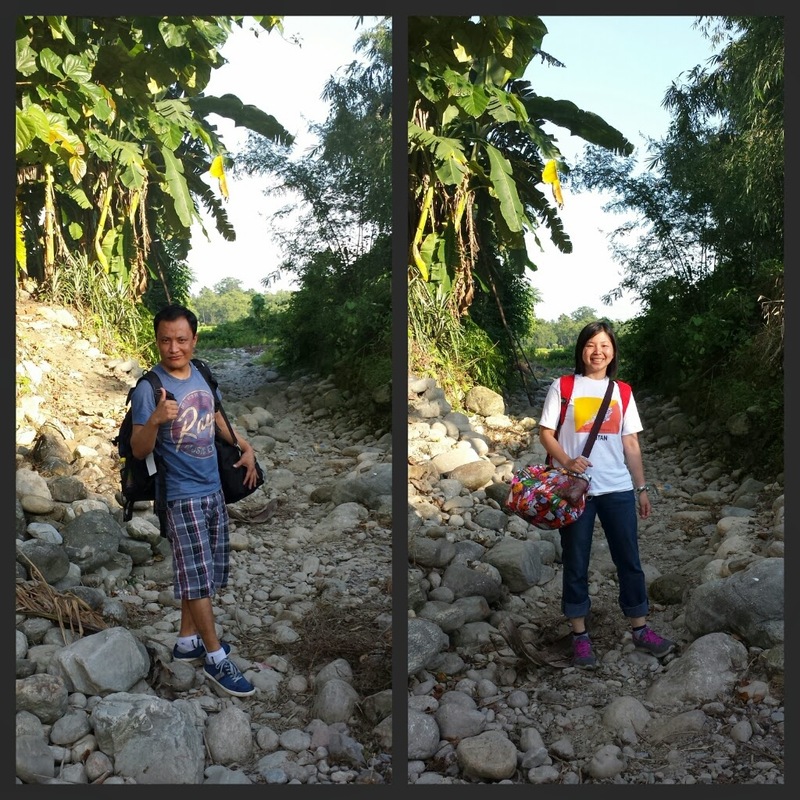 Hahahaha.... No choice, I had to carry his slipper with my hands, while walking barefooted. It was so fun. My feet touched the soil, water puddle, stones, and even cow dung, made me feel very closer with the earth. I didn't care how many germs sticking on my feet. In fact, I felt so carefree. We walked under the bright moonlight above us between the paddy field, small path, and kept walking. Chandra walked very fast and I had to catch up with his pace because otherwise I would get lost. Hahaha.... Since the dark came, we had to turn on our torch light. I was lazy to take out my torch light from inside my bag and just turned on the flash light apps from my handphone. It was bright enough to show the path in front of us. Suddenly Riku reminded me of leeches. He said there would be many leeches during this season. Yallama!!! Before hearing it, I was so happily enjoying the journey. No worry, nothing. Just enjoyed the moonlight and stepped the soil barefooted and felt the earth's warmness. But after he mentioned "leeches", suddenly I felt scared, insecure, and full of worry. His first Mom came in. She was wearing gold accessories under her nose (it was common for the woman to wear that kind of accessories there) and earrings on both ears. Although she was petite woman, she had given birth to seven children. Her eldest sister-in-law came in, followed by Chandra's two sons, Raj and Diwash. After that Riku's Mom entered followed by Chandra's wife and Chandra. I was introduced to each of them. Among them, I think it was only Chandra who could understand English, however, he spoke less. So they all would converse in Nepali while sometimes I would ask Riku to translate whenever they spoke something related to me. 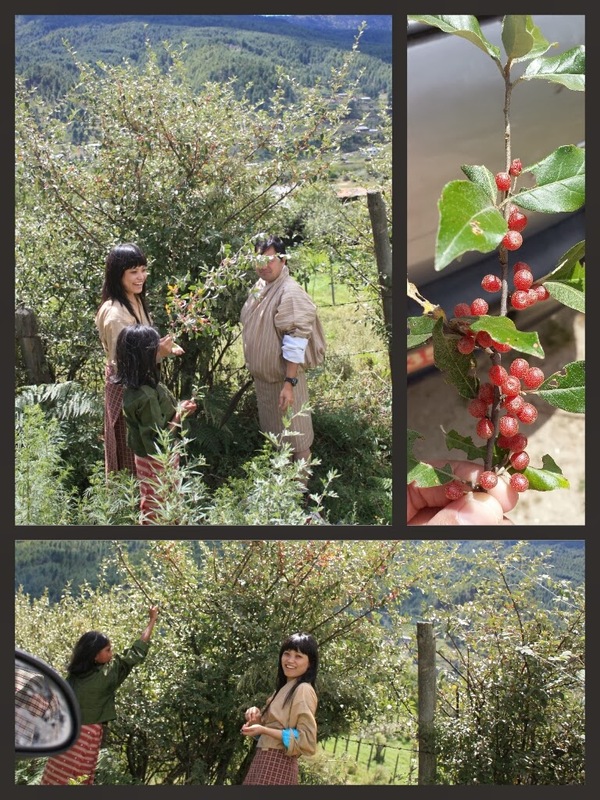 Riku's Mom offered us Ngaja. While having tea, Riku and I distributed some gifts to all them. I brought some chocolates for them to taste. Riku gave his two Moms scarfs that he bought in Nepal while I gave two of them brooch. Both received it happily :) I passed some souvenirs from Singapore to his father. We gave Riku's brothers the Black Mountain whiskey and both sister-in-laws were so happy hahaha... Riku bought a packet of balloon to Chandra's son, reminded me his blog post that he wrote regarding Chunku (his youngest sister). While having dinner, everyone was inside the room. They had a chit chat while I was just listening to their chatter and laughter. Chandra told everyone that I was so strong, walking like a horse. Hahahaha.... Maybe he was surprised and didn't expect that this city girl would be good at walking hahahaha.... After finishing my dinner, I was asking Riku if they had tongpa. I had been reading it in his blog and heard about it from others too but had never tasted it before. Since I was in Gelephu, I should have drunk it right? He asked his Mom if they had it and I was lucky enough that they actually had it with them. 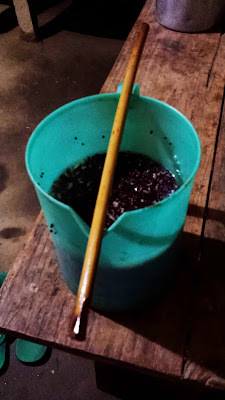 I was given a jug of it with a straw made of bamboo - see the photo above. Hm.... it was warm and mild, not very strong in alcohol, tasted a little bit sweet, nice :) Once you finished drinking it, you could add boiled water into it and drink it all over again. Cool! The above photo from left to right: Riku eldest's sister-in-law, Chandra's wife, Riku's Mom, Riku's first Mom, me, Riku's father and Riku. After that we went to Chandra's house. Both sister-in-laws were having the Black Mountain whiskey. I joined them to taste how the whiskey tasted like. Hm.. not bad.. hehehe.... 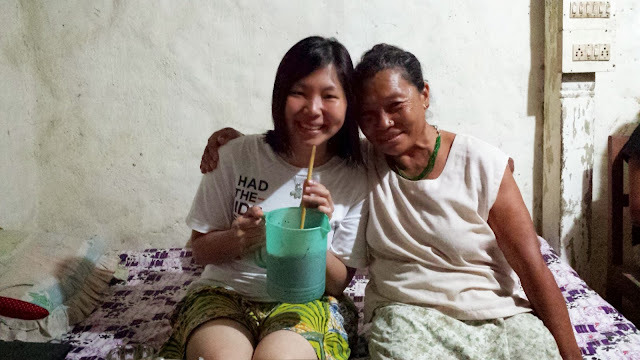 I realized that these two ladies were happier than their husbands when it came to drink hahaha.... Great accompany!!! The rain didn't stop so that we had to use umbrella to go back to our place. We went to sleep after that. I was awoken up at 3.20am. I wanted to pee. Instead of going to the toilet, I chose to pee on the grass outside the house. Hahahaha.... I helped them fertilizing the grass mah! I was facing the wall. When I looked up, wow!! I was amazed!! There were many stars above me looking sooo... big and near. I thought I saw wrongly. I removed and put my glasses back, and indeed, the stars were so many and shone brightly in the dark sky! Oh... another unforgettable memories.. while peeing... Lolx!!! I told Riku about it and he was waking up and went outside to see it too. But he wasn't as amazed as me, perhaps it's common for him. For me, it was wonderful as in Singapore, we could only see a faraway and small stars in the sky. 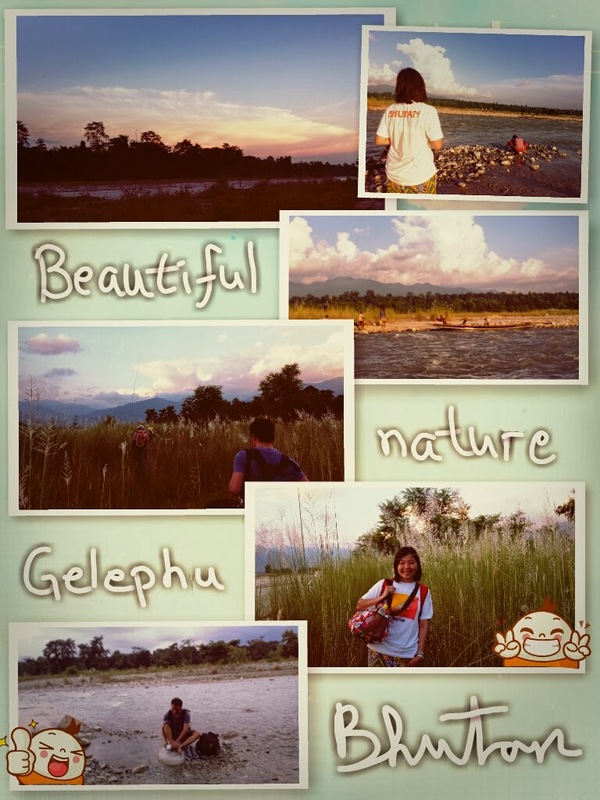 Not as big and as close as in Gelephu. Suddenly, we heard the rooster calling just next to our room Yallama!! It shocked me for a while! At 3.30am??? Usually rooster would only call out at 5 or 6am in Indonesia, never at 3.30am. Both of us went into laughter hearing that hahaha.... After that we continued our sleep. Good thing was there was no mosquitoes. Oh, I was so relieved! 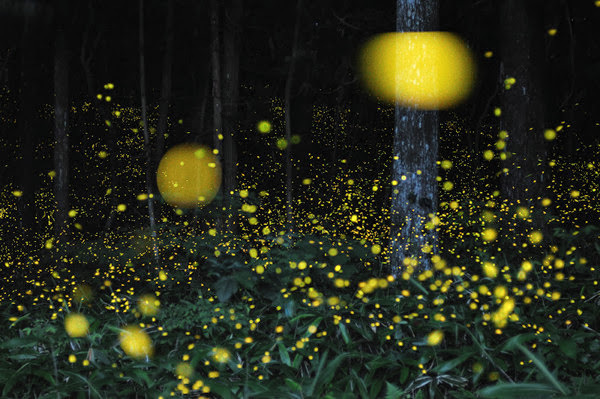 I thought there would gonna be lots of mosquitoes there. 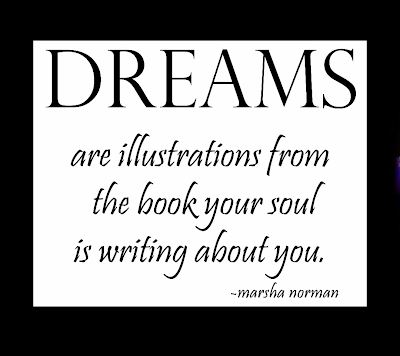 That's why I could sleep peacefully...... Oh, so many unforgettable memories in a day... I am blessed!!! Continue the day in this post. Prior to my trip to Bhutan, I'd read many stories written by Riku in his blog. In fact, I knew him from his blog :) On my trip there, I felt like I experienced many things from what he had written there. Starting from "A tree, four seasons", I finally saw the tree that he mentioned there while walking from his office to his house; being introduced and met some of his very best friends from Sherubtse college's time as per "Way back to boyhood"; finally met Tashi Namgay - whom I supposed to meet in Kolkata earlier this year; watching the full rainbow in Thimphu although from different place; although it wasn't winter and Christmas time, we were invited for coffee at midnight by his best friend, Pema, who works in Taj Tashi Hotel; met the two brothers "Changa and Chuddu" while visiting Jambay Lhakhang in Bumthang; visited the artificial turf - Changlimithang Stadium in Thimphu; met many "Industrious Entrepreneur" along the road in Thimphu town; had a stroll in the evening from Motithang to Zilukha road and watched this place personally; stayed in this place for many nights during my stay there; looking at the beloved Thimphu town from far above the Sangaygang; took photo with "Bhutan comedian king, Phurba Thrinley" when we walked in Thimphu town during first day of Thimphu Tsechu; visiting Drayang in Haa, however me and his best friend came too late and the girls had left the place by the time we reached there hahaha....;and finally met not only the most eligible Bachelor but also a kind-heart in nature in person for the second time, who has a lot of passion in writing. We left his home to Thimphu bus station after having his warmhearted, own-cooked breakfast - fried sunny side egg, toasted bread, and a cup of hot coffee with cream. He wanted to make sure that we were full and having a comfortable journey before the bus stopped for lunch in afternoon time. Thank you for your considerate thought Riku! This would be my first time taking a public bus in Bhutan. I read "Beyond the sky and the earth - A journey to Bhutan" written by Jamie Zeppa before. She wrote many of her horrible experiences taking public bus there, even called it "vomit comet" as there were many passengers in bus who were vomiting while traveling inside the bus. 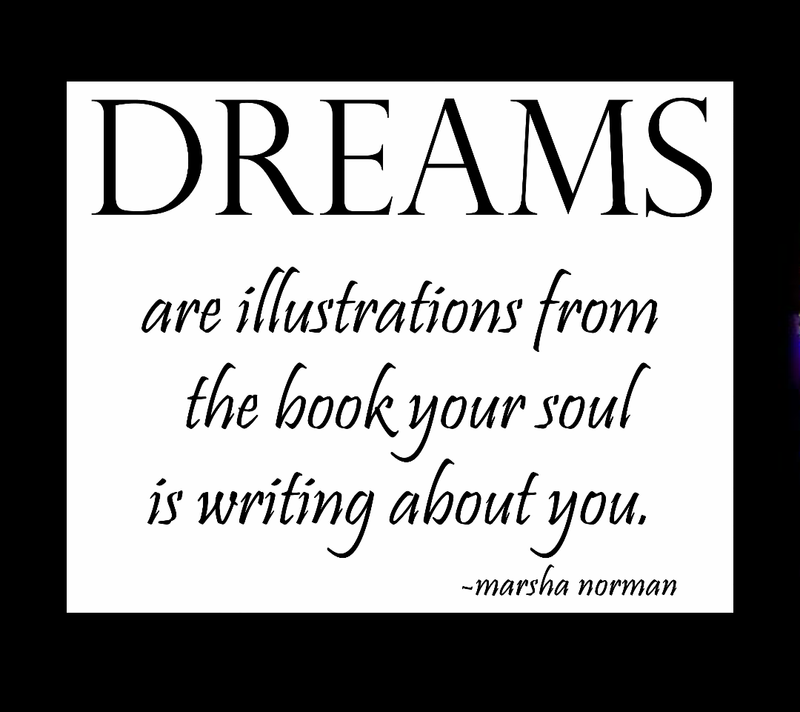 So, I was expecting a very much worse experience than what I really encountered, only to realize that the book was written based on her experience in 1988. We sat down just behind the driver's seat, number 3 and 4. I sat down next to the window so that I could have full view of the roadside and make it easier to take pictures along the way. We left the bus station at 7am. On our way, the driver picked some more passengers illegally into the bus until it was full. We stopped for a while at immigration checkpoint where I had to go down and show my route pass to the immigration officer. In a while, the journey continued on. The driver turned on the Nepali songs loudly to entertain the passengers while I sat down quietly writing my travel journal. Sometimes I took photo and sometimes I just let myself diving into the beautiful view while taking pleasure of the fresh and cool air from outside. 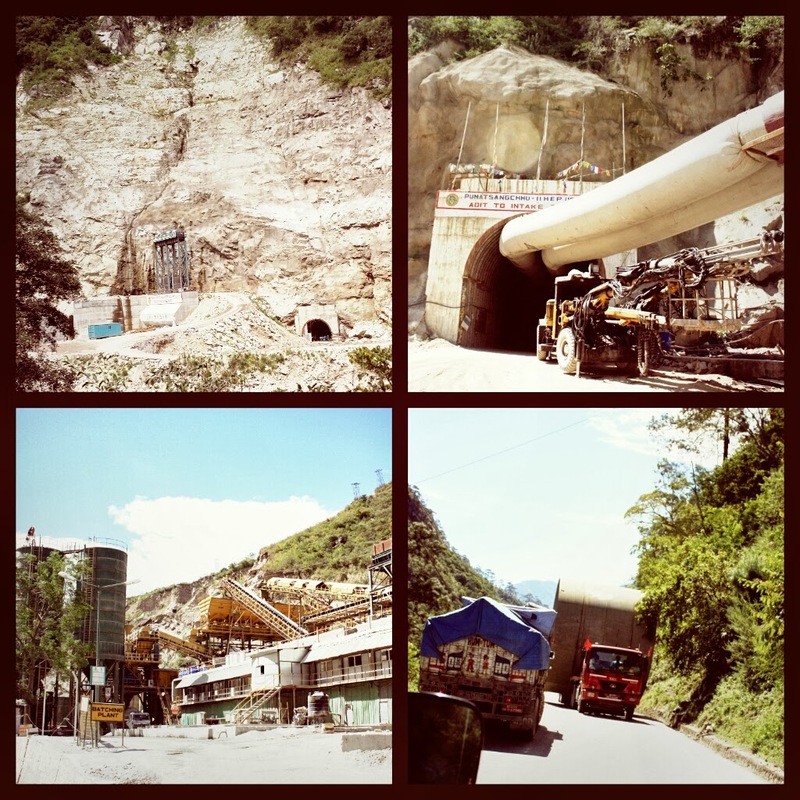 The bus passed by the Dochula Pass, Punakha, and Wangdue, reminded me of my last year's journey; and went through the dusty and bumpy road where Punatsangchhu Hydroelectric Project was under construction - between 7 km and 18.5 km downstream from Wangdue Phodrang Bridge. Ohhh... it was horrible!!! There were many big vehicles passing by transporting materials required for building the projects. We had to close and open the window all the time as it was so dusty and the weather and the sun were too hot if we left the window closed. Luckily, not long after that we were dropped at one eating place. It wasn't near with dusty area. Slowly the passengers went out from the bus and went inside the eating place. As it was my first time experience, I was curious how the place looked like, what food they served, how to order, how to pay, and so on. Immediately I sat down at one table and observed what was going on, while Riku joined the crowd to get the food from an open counter directly outside the kitchen. People started ordering their food. Riku was asking me what I wanted to eat. I told him, anything. I could eat any food that they had. He was asking me if pork was fine. "Yes, sure" I replied him. He came with two plates of rice first with some veggies inside. He took two bowls of dhall and spoons. The bus driver, who knew that I was foreigner, came personally to us and brought two bowls of spicy pork. We thanked him for his service and enjoyed our lunch. Wow, the pork was full of fats!! But it tasted great! Haha... I loved it! Sometimes enjoyed, sometimes felt sinful. Lolx!!! In short while, someone came out from the kitchen bringing a pot of rice, walked around offering everyone if they wanted to add some rice. After that he went in and out from kitchen with pot of dhall. It was included in the package. So, meat was limited to one serving, while rice and dhall was unlimited. That was good huh?? In Singapore, everything was charged by portion, otherwise in over-priced buffet price. Once finished, people would go to the cashier, tell them what we had eaten and paid accordingly. Here, we had to be honest with what we ate because there was no way that the cashier knew what you had eaten. Kekeke... One person paid Ngu 130 (around SGD $2.60). Not very cheap, but definitely filled our stomach. We continued our journey again. This time, the road had turned better. 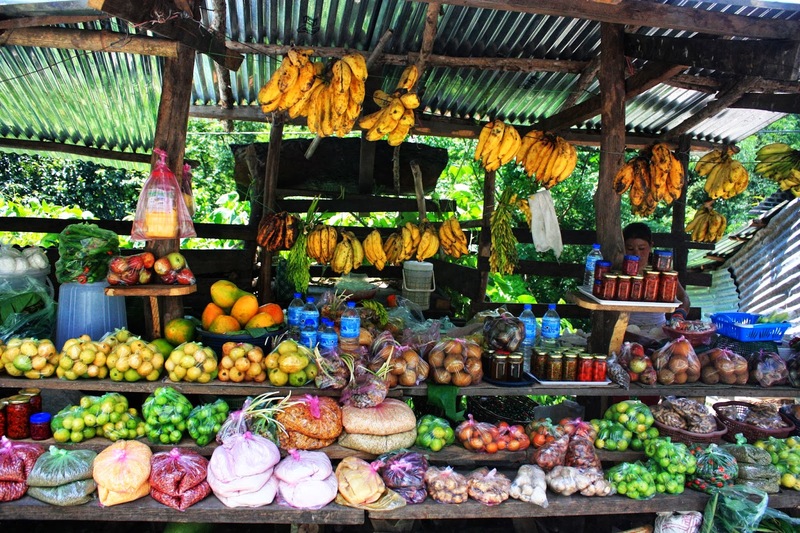 On our way to Tsirang, we passed by roadside stalls selling many local food products, such as: fruits (banana, lemon, guava, papaya, apple, etc. ), eggs, pickle chili and vegetables, dorle, red and green chili, vegetables (cucumber with salt and chili powder, fern or nakey, etc. ), local made cheese, honey, peanuts, bean, dhall, milk, ready eat samosa, etc. It was so colorful and attractive. I saw many passengers buying. We finally reached Sarpang. From inside the bus we could see the small Sarpang town. The road had started becoming very plain, no longer mountainous road. 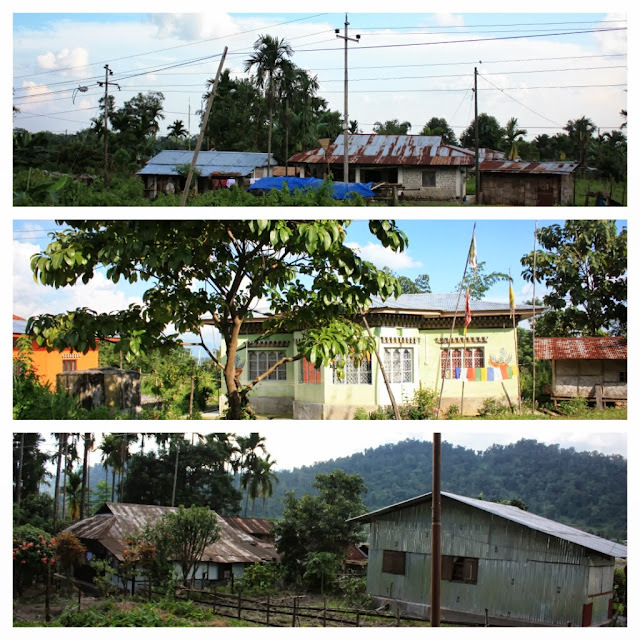 The house that we saw was different from usual Bhutanese house. From here onwards, the weather had turned hot and we could start seeing doma trees, which grow suitably in warmer weather. The area was near Indian border too. 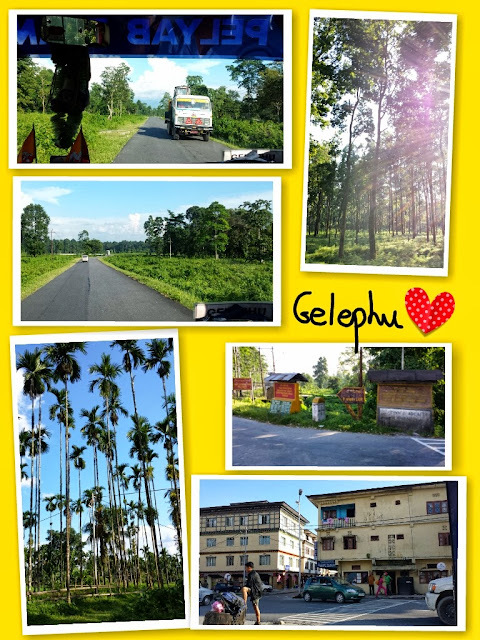 On the way to Gelephu, we could see many tall trees on our left and right side. They were all protected and preserved. I loved watching it. All trees seemed very old, had been there for many years, still grew strong and tall. Sometimes I wondered, if I had be reborn many times before this, would I ever be there and saw the same trees and visit the same Lhakhang before?? Because otherwise, how would I ever know this country in present life? There were many wonder and questions on my head that were left unanswered. We passed by Bhutan liquor distillery factory, which manufactured high quality liquor in Bhutan, called AWP (Army Welfare Project), a company incorporated under the Companies Act of the Kingdom of Bhutan mainly in the business of bottling a range of alcoholic beverages such as whiskey, rum, gin, etc. Presently AWP Gelephu has around 18.44 acre area which include the water treatment plant and manufacturing unit and a guest house. (Source: wikipedia.org). We finally reached Gelephu bus station at 4.30pm. We took a cab to the nearest place where we could start our journey. Journey??? 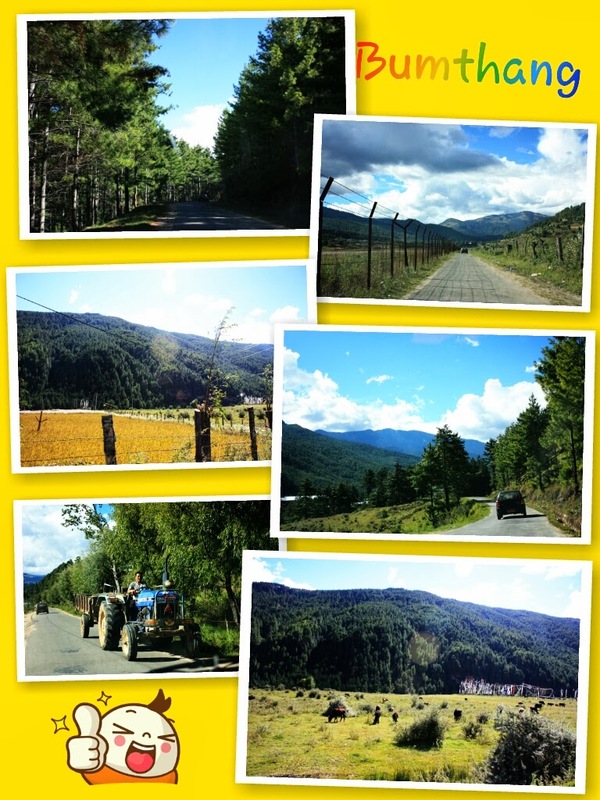 Yes... journey to Chuzargang, the village where Riku's families stayed. In fact, it was a long journey mainly on foot. Continue read on part 2.